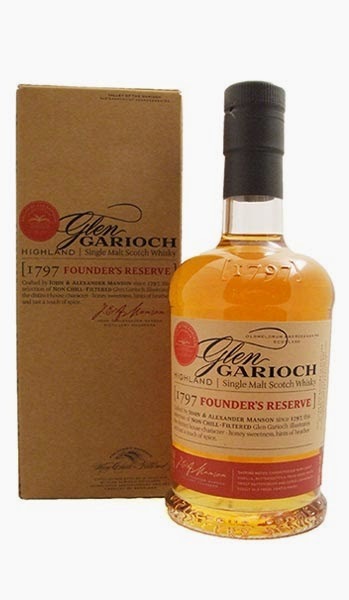 This is a no age statement whisky from Glen Garioch. The alcohol is a bit strong on the nose to start with, but it wears off after a couple of minutes. The smell is a mixture of spices, fruits and malt. The taste is filled with spices, black pepper and citrus at the end. In the finish it all comes very well together and the high ABV helps here as well. This is the absolute best thing about this whisky. Like a great movie where you still think about the plot after the movie is finished. This is fine balanced and somewhat complex. This shows what 48 % can do to a no age statement whisky! I am in no doubt that this would have been a bit boring at 40 %. I rate this whisky 84/100 (20/20/22/22).